BBM’s hoping that in this festive season, we can all shine some hope and love to those around us. 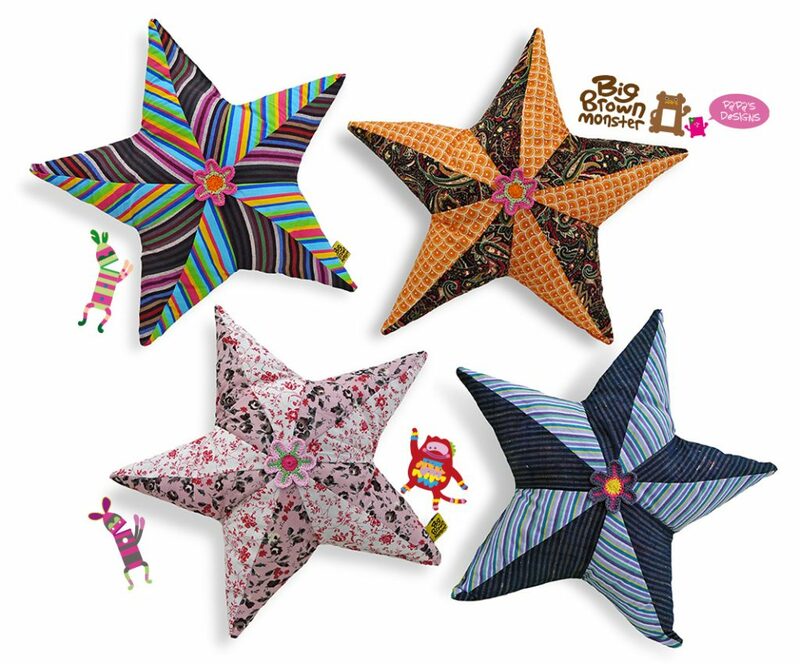 Here’s some new assorted cushies that are inspired from the year end festivities. So be a Star this Xmas! The following designs are currently available (just quote “rainbow”/”orange”/”pink”/”blue” if you are interested in ordering). Material: Polyester/Cotton fabric, crochet flower, polyester filling. 100% handmade by BBM. Approx 20 inches across. Surface clean preferred. Cushies can be customised to your choice of prints and size. Pricing varies. Basic designs start from AUD30 each.